Thanks to everyone for making STLHE 2017 such a success! The Steering Committee is especially appreciative of our sponsors and the strong support provided by our respective institutions. We are delighted that almost 800 of you found your way to Halifax. A special shout-out to the more than 120 volunteers who braved all forms of weather and made sure no one could possibly get lost. See you in Sherbrooke, Québec for STLHE 2018! Unable to attend STLHE 2017 in Halifax? Read the recent article summarizing the conference published in University Affairs. Presenters at the 2017 STLHE Conference are invited to submit a paper (3000-6000 words) developed from their conference sessions for publication in Collected Essays on Learning and Teaching (CELT). CELT editors are seeking papers suitable for a general academic audience which are grounded in the SoTL literature, using sound research and reflective practices, and are written in an essay format. Papers will be peer reviewed. Accepted papers will appear in Volume XI (2018) – Gateways in Higher Education: Cultures, Transitions, Transformations. Further information will be sent to presenters and is available on the CELT website. The International Consortium for Education Development (ICED) Council meeting was held in Shanghai China July 6-7, 2017. Each Network President is automatically part of the ICED Council and represents Canada at their annual meetings. In 2017, STLHE was represented by Denise Stockley, President, STLHE and Erika Kustra, Chair, EDC attended as an observer. Highlights of the meeting included Allan Goody, from HERDSA becoming the President, conference organizing plans for ICED 2018 (Atlanta, Georgia – June 5-8, 2018), an update from the International Journal of Educational Development (IJAD) editorial team, and Network Reports. In addition, Denise Stockley participated in the closing plenary panel at the Chinese Higher Educational Development (CHED) conference. Congratulations to the recipient of the 2017 Pat Rogers’s Poster Award David Hickey (pictured, right), Assistant Professor, Professional Writing and Digital Rhetoric; University of Prince Edward Island for his Poster: Sounding Off: Soapboxes for the University Classroom. 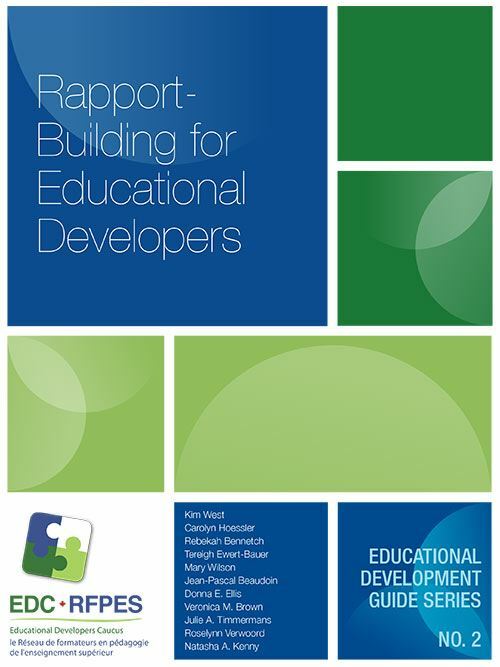 We’re thrilled to announce the release of Rapport-Building for Educational Developers, the Educational Developers Caucus second guide in its Educational Development Guide Series. Authors—Kim West, Carolyn Hoessler, Rebekah Bennetch, Tereigh Ewet-Bauer, Mary Wilson, Jean-Pascal Beaudoin, Donna E. Ellis, Veronica M. Brown, Julie A. Timmermans, and Roselynn Verwoord—explore rapport in educational development practice, integrating scholarship from diverse fields and insights from practitioners in the field. Visit the Educational Developers Caucus website to get your copy! The Learning and Teaching Centre at the University of Victoria is the host for the Educational Developers Caucus Conference from Wednesday, February 14 to Friday, February 16, 2018. 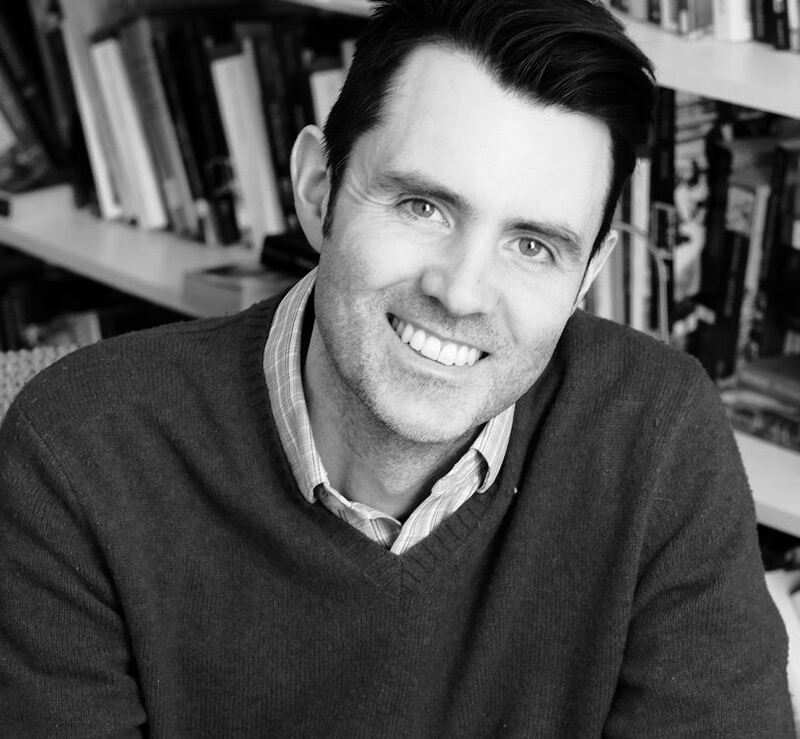 What unexpected, creative, and bold practices are emerging? What vital impact are you having at your institution? How and where can you gain more impact? How is educational development creating extraordinary academic environments related to experiential learning, decolonization, and internationalization? All of the staff at the Learning and Teaching Centre look forward to seeing STLHE members in February 2018. If you have any questions, do not hesitate to contact the organizing committee. The 2017 EDC Institute, Developing an Educational Developer’s Portfolio: A Hands-on Experience, offered an exciting, new (to the Institute) blended format incorporating both web-based and face-to-face opportunities to support participants in building their Educational Development portfolio. Central to this process was a deeply inspiring and reflective process of developing our Educational Developer’s philosophy statement. 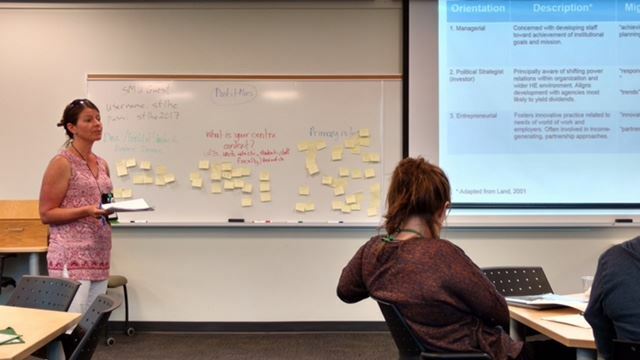 Visit the EDC website in the coming days for an article capturing a participant’s reflections on the in person learning and engagement experience that ran over two and a half days at Saint Mary’s University in Halifax. Special thanks and gratitude to the Institute Coordinators, Jeanette McDonald, Deb Dawson, Isabeau Iqbal, and Judy Chan, for their hard work in creating and facilitating such an innovative and effective learning opportunity. It is with a very heavy heart that I am reporting the passing of our long-time member, past board member, incredible volunteer, and dear friend, Marg Wilson, who passed away on July 5 after a long battle with lung cancer. Marg took on insurmountable tasks on behalf of the Society – and got them done. She was a founding pillar of so much of what we in STLHE now take for granted – she wrote the conference handbook and shepherded STLHE through incorporation – two huge projects that are incredible legacies. She was also a dedicated member of EDC and had most recently been working to establish a network of Educational Development Centres in Alberta. Marg was an exceptional model of scholarship and one of the early innovators in bringing a lens of inquiry to our ED work. Marg’s true legacy, however, will be in her lasting imprint on the hearts of many friends and colleagues who will miss her boundless energy and caring approach. Marg was a positive life force. She always had time and found ways to lift others up, and could be counted on for wise words and kind advice. Colleagues have commented on how Marg was instrumental in their career paths, welcoming them into the ED profession, and many commented on her integrity, humour, and passion for all she did. They speak of her mentorship being characterized by a deep and enduring personal concern – for both those who sought her advice, but also for the wellbeing of the profession. Others have commented on her resilience and commitment to her causes, noting that she persisted long after others would have given up. She was revered as a big picture person who never forget the small things; as someone who could navigate the institution while always staying connected to the individuals. She did all this with grace, empathy, and compassion. Read further details about Marg’s life. A celebration of Marg’s life will be held at the Old Timer’s Cabin in Edmonton, 9430 Scona Rd NW, from 2-4 pm on Monday, July 31, 2017. In lieu of flowers, donations can be made in Marg’s name to Unit 43 Tertiary Palliative Care Unit, Grey Nuns Hospital, 1100 Youville Drive NW, Edmonton, AB T6L 5X8. Developing a 3M Portfolio. Friday, July 28, 12:30-1:30pm EDT. Register via the link above. Additional information will be shared soon on the EDC listserv. 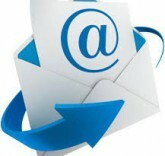 If you are not subscribed to the list but would like to know more, please contact Joe Lipset. Dip in a Freshwater Lake. Various dates and locations, Summer 2017. With summer upon us, STLHE hopes you have the opportunity to recharge and revitalize! Partial Solar Eclipse. August 21st, 2017, visible from across North America. Great teachers often inspire us to consider our own place in the world; experiencing this celestial phenomenon provides us with another opportunity to reflect on the nature of our many relationships.